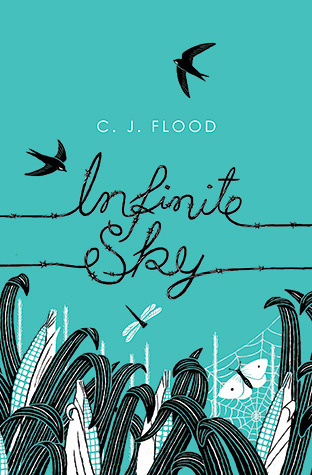 Infinite sky is a beautiful book which will make you smile and break your heart at the same time. I enjoyed it thoroughly and whizzed through it in one sitting because I literally couldn't put it down. For me this book was really about the relationships you form with people and the challenges those relationships can face. The story follows Iris a teenage girl who makes friends with the gypsy boy who are camped up on her father's land. Her father is very prejudice against the gypsy family from the outset and forbids Iris from becoming friends with them and, like you'd expect, she completely ignores this and seeks him out anyway. I won't tell you too much what happens as the story goes on as it would spoil it but I will say that the end of the book is absolutely devastating and really makes you think about friendships, family and loyalty. I really enjoyed following Iris and especially how she was torn between doing what she was told by her father and doing what she wanted to do. The writing style in this book is brilliant and therefore a real pleasure to read. It's beautiful without being overly complicated or pretentious and therefore perfect for drawing in teenage readers. Definitely a book I will be recommending for a long time to come. I think this one sounds so good so its great to see that you read it so quickly and said it was beautifull. Definitely gonna be ordering this one!